There are many point-of-care tools that present some evidence from the literature, e.g. DynaMed, FirstConsult, Up-to-Date, but none of these resources cover every condition, not every entry has evidence, and not every entry is current, so it is important to know how to find evidence in the biomedical literature. One strategy is to limit your search to the relevant article types. Just do a search with the usual keywords and/or MeSH headings that you would normally use, and then click on Limits. 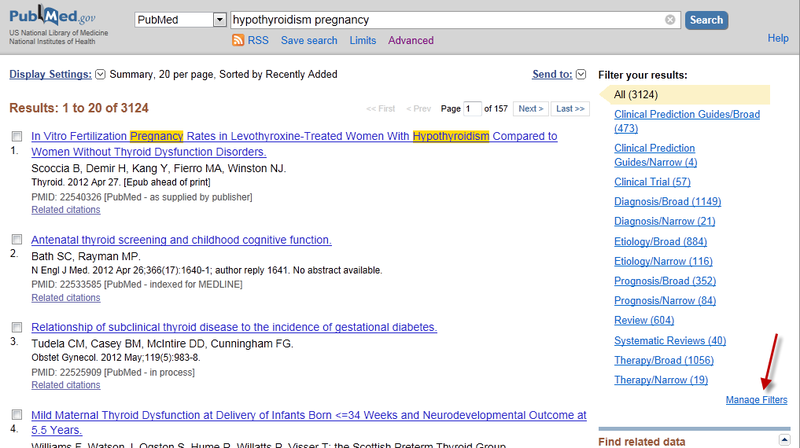 Then check the ‘Type of Article’ that you would like to find and click the Search button at the bottom of the screen. Meta-Analysis, Practice Guideline, Randomized Control Trial, and Clinical Trial are all good sources for evidence. 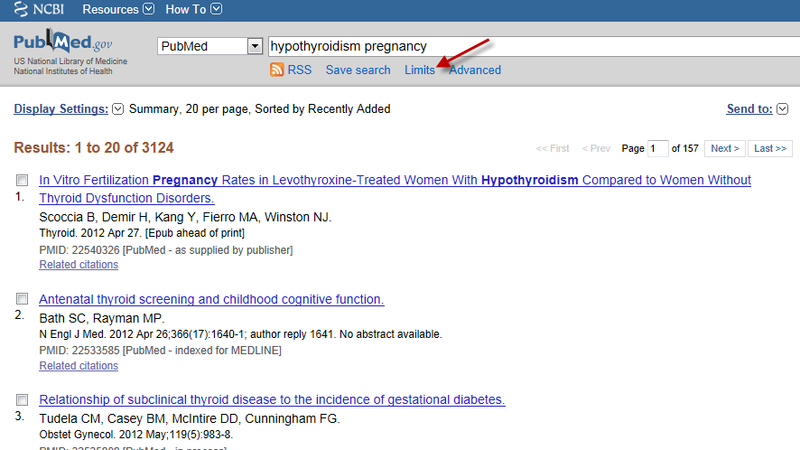 PubMed’s Clinical Queries are a good way to go directly to the evidence. 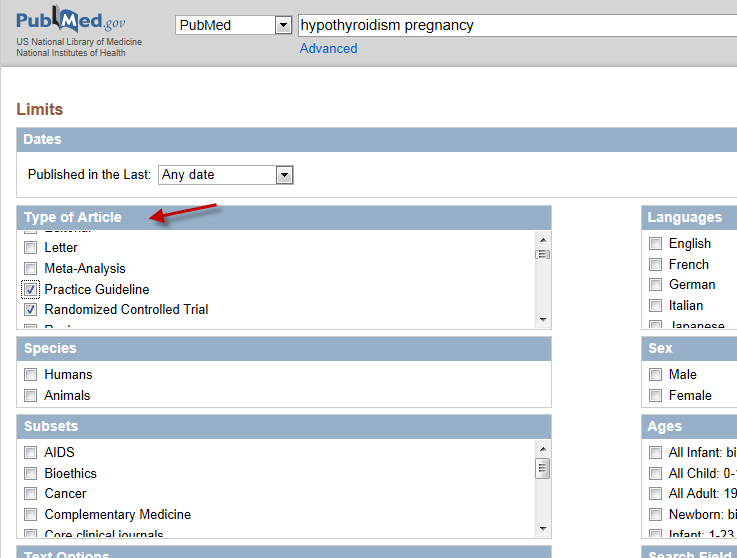 As with the Limits search mentioned above, just enter your search using keywords or MeSH headings on the Clinical Queries page and then you will have a choice of looking at articles based on Clinical Study Categories, Systematic Reviews (especially helpful for EBM), or Medical Genetics. The filters that have been programmed to help refine your search have been extensively tested and proven to provide excellent information. 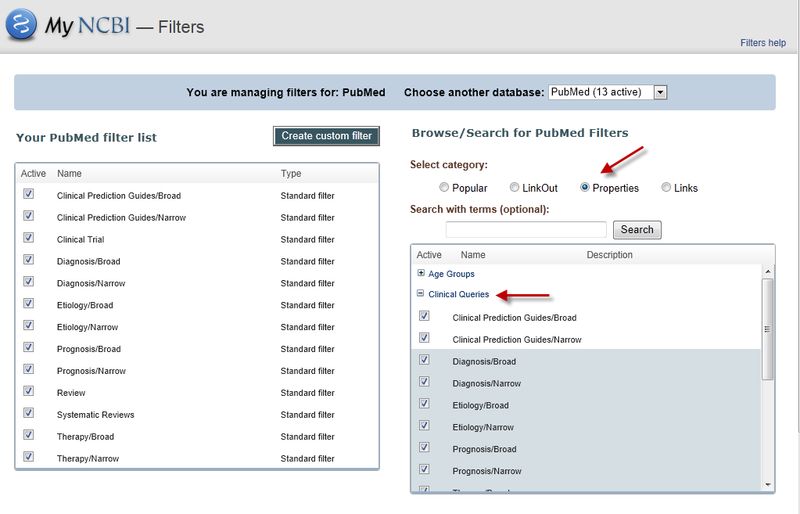 and under PubMed Preferences, go to 'PubMed Filters & Icons'. 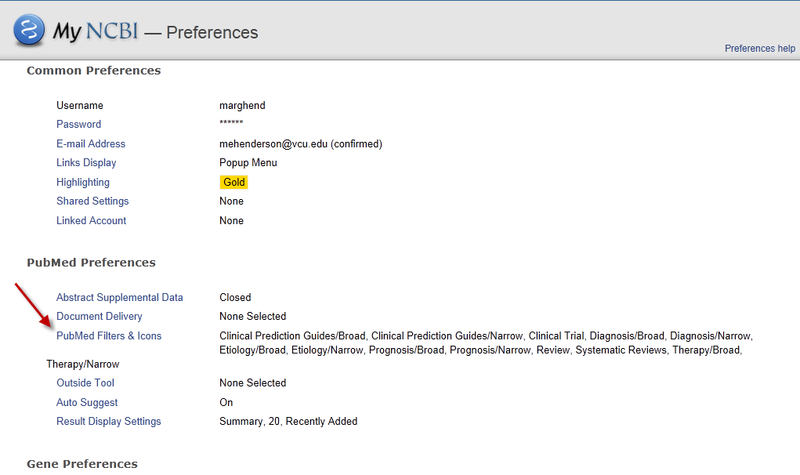 Choose the Properties category where you will see Clinical Queries. Use the + to view all the options and choose the combinations that are most useful for you. 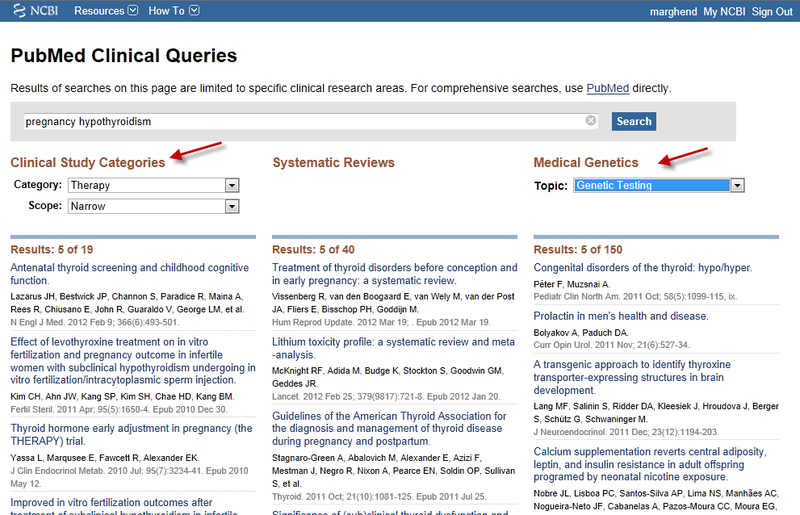 When you search PubMed, be sure to sign into MyNCBI first, and then you will see all the categories and the number of articles in each along the right side of the screen under 'Filter your results'. Notice that if you want to change your filters at any time, there is a link to manage your filters.